For a long time, Phil Mickelson flirted with a magical 59 before eventually returning a career-equalling low round of 60 on day one of the PGA Tour’s Desert Classic at La Quinta, California. 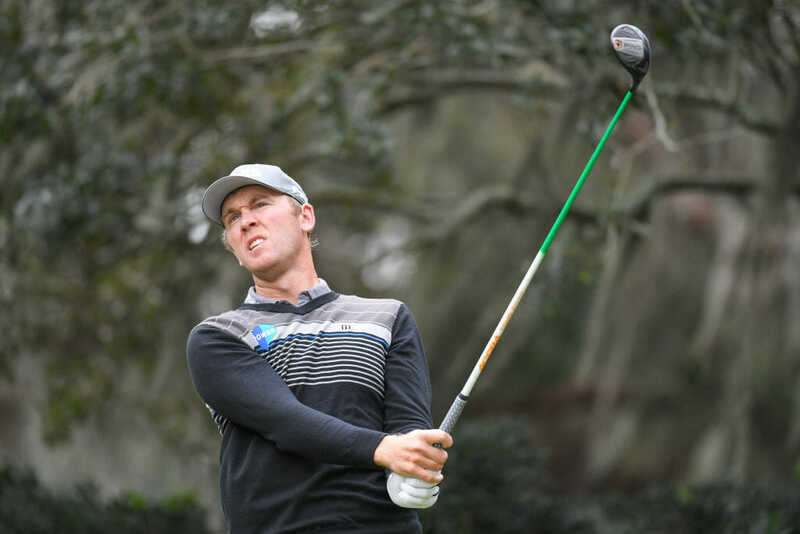 However where Mickelson soared, Ireland’s Seamus Power sadly struggled; the West Waterford professional slumping to a two-over-par 74 having already missed four of his last five cuts on the PGA Tour. Where Mickelson produced an eagle and 10 birdies, Power could only muster a solitary gain with a watery double-bogey at the par-3 17th and a bogey at his 10th hole scuppering his chances. Power currently shares 140th place in the 156-player field and finds himself trailing four shots adrift of the expected halfway cut-mark ahead of tonight’s second round. Hot scores are out there however, as Mickelson proved with Lefty falling a birdie short of breaking the magic number on the 60th anniversary of the event at La Quinta Country Club. Despite failing to join the elite 59 club, Mickelson did manage to birdie the par-4 18th and in the process he became the first player on the PGA Tour to shoot 60 three times. And for the pub quiz enthusiasts reading this, Mickelson’s 60 arrives on the 20th anniversary of David Duval’s final round 59 that saw him win the 1999 Bob Hope Chrysler Classic, also at La Quinta. While Mickelson was one shot shy of matching Duval’s feat, he will now take a three shot lead over fellow American Adam Long into day two of the $US 5.9m event. Not a bad consolation prize. “It was a kind of a lucky day for me in the sense that I did not feel sharp heading in,” Mickelson said. “I haven’t really had the intense practice sessions that I would like, but I felt like all parts were okay and it just clicked, … and the bad shots that I hit I got away with. Lefty’s previous two 60s came at the par-71 TPC Scottsdale, venue for the rowdy Phoenix Open. He fell millimetres short of shooting 59 in the first round there six years ago, suffering a brutal lip-out on the 18th green. He also shot 60 in the second round in 2005. Mickelson did shoot 59 in the second round of the 2004 Grand Slam of Golf but the end-of-season tournament was a non-counting Tour event. 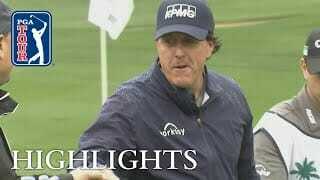 Needless to say after last night’s heroics, there’s life in Mickelson’s magic yet!